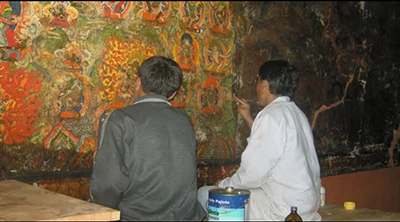 The Department of Culture under the home and cultural affairs ministry says conservation of valuable cultural properties including old statues, Thangkas, murals and painted scrolls in both government and private lhakhangs and goenkhangs cannot be carried out without prior approval. There are thought to be over 45,000 such valuable cultural properties in the country. The properties include some 20,000 old statues. The Movable Cultural Property Act 2005 states that if a Valuable Cultural Property has to be conserved, the conservation shall take place in accordance with government policies and shall be allowed only after thorough verification by conservation experts. The experts will determine if it is necessary to carry out the proposed conservation works. This is to preserve the properties in their own nature and sacredness. “We restrict repainting of gold on old statues so that they do not lose their original colour. It is to preserve the sacredness of the properties since they are blessed by renowned masters a long time ago,” Phenday Lekshey Wangchuk, the Chief Cultural Property Officer with the ministry. “However, we do give permission to repaint new statues after verification,” he added. 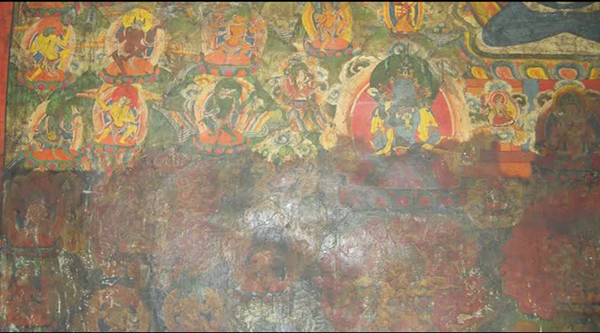 The Chief Cultural Property Officer said the same applies to old murals and Thangkas. The Department of Culture says the restoration works such as repair and repainting of the old and damaged valuable cultural properties require specialised skills. The department says it is happy to provide the service free of cost.